Mechatronics is the combination of mechanical, electronic, robotic and software engineering systems that are used in modern manufacturing industries. Mechatronics is how high-tech manufacturing is done today and is becoming one of the fastest growing career areas. Mechatronics engineers design, build and operate intelligent machines such as the robots and flexible manufacturing systems of today and for tomorrow. If you enjoy building things, figuring out how things work and how they can work better and want to be able to use your qualifications to build and invent then this is the right path for you. This is facilitated with modern well-equipped labs, online materials, lectures and assessment as well as on-site support from enthusiastic staff, willing to spend time helping students. 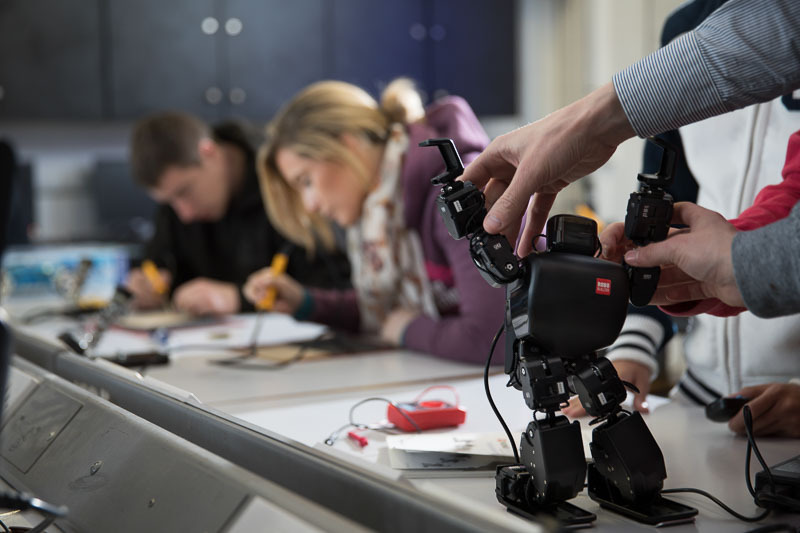 At the outset, there is a strong emphasis on practical engineering subjects . The course also covers many of the theoretical aspects of Mechatronics but students also gain hands-on experience in the use of the latest technologies in this area. Through the Engineers Ireland accreditation process, Cavan Institute engineering programmes benefit from objective evaluation and approval, thereby ensuring they stand up to the best standards worldwide. The integrated skills developed in mechatronics can be applied to a variety of jobs, enabling students to have a very promising career in the biomedical, pharmaceutical, food processing and manufacturing sectors. Growth also in the electronics, telecommunications and computer industries industries has strengthened the demand for graduates in this area.